How to go to Canakkale? What to eat in Canakkale? Where to go in Canakkale? What to do in Canakkale? What to buy in Canakkale? on the European side. Yachts navigating the straits stop at the well-equipped Çanakkale Marina to allow tourists more time in the area. 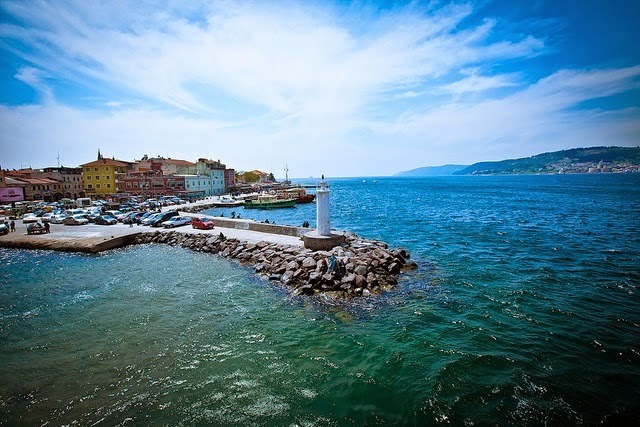 Hotels, restaurants and cafes along the promenade offer a place to enjoy the comings and goings of the harbour, and views of the Kilitbahir Fortress and the Çanakkale Archaeology Museum. In 1451, Sultan Mehmet II, later the conqueror of Istanbul, built one fortress on the European side of the Çanakkale Strait, at Kilitbahir, and one on the opposite shore at Çimenlik, to control the passage of ships through the strait. Today the Çimenlik fortress serves as a military museum dedicated to the Çanakkale Battle of 1915, one of the most celebrated of World War I. As you approach Bozcaada Island, the Venetian castle commands your attention. Then, your eyes are drawn to the glistening white houses and the restaurants and cafes which line the promenade. Wine seems as plentiful as water on this island; a circuit reveals many vineyards and wine cellars. There are good, sandy beaches at Ayazma, Poyraz and Igdelik. The largest of the Turkish islands, Gökçeada, is ringed with pristine bays. Its hills, covered in the contrasting greens of pines and olive trees, are dotted with sacred springs and monasteries. Regularly scheduled ferryboats make the trip from Çanakkale and Kabatepe. In August, islanders and tourists gather for colorful local fairs. The town of Biga has lent its name to its whole peninsula in Bayramiç, 60 km from Çanakkale, is the 18th century Hadimogullari Mansion, (Ottoman House).